The best in Canadian Rockies rafting on the Kicking Horse River! Welcome to Wild Water! For 27 years, guests just like you have been enjoying fun, exciting and enriching Canadian Rockies rafting trips with us on the world famous Kicking Horse River. 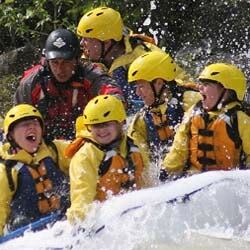 We pride ourselves in having earned the reputation of offering the finest and extremely well organized white water rafting trips near Banff, Alberta, in the Canadian Rockies, on one of the most exciting and history rich rivers in Canada! Our Kicking Horse rafting trips are just outside Banff National Park, Yoho National Park and Golden, British Columbia. Our Banff rafting trips are perfect for singles, couples, families and groups, and all abilities and ages, from 8 to 88, making for the ideal rafting trips in Canada. The most popular daily Alberta / British Columbia rafting trips are available from mid-May to mid-September and we have trips designed for first-timers, experienced rafters and nature-loving families. Our Banff white water rafting trips are touted by rafters like yourself on TripAdvisor as the best white water rafting Canada has to offer. Choose from a variety of exciting white water rafting trips and milder river journeys. Kicking Horse River rafting trips range from our popular daily half-day rafting trips, our full day rafting trips, and our multi-day Banff rafting trips for those looking for more time on the river! 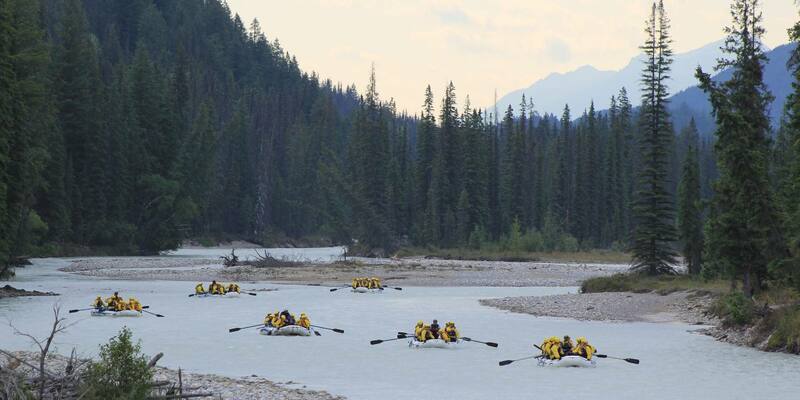 Celebrating Our 27th Year Rafting The Kicking Horse River! Still Ranked #1 On TripAdvisor. See Our Trip Options Here!